With the recently released update for IGEL Linux, the Bremen-based thin and zero client specialist is further increasing the range of functions offered by its operating system. With the latest version (5.04.100), the firmware supports Microsoft Remote Desktop Gateway (RD Gateway). As a result, it is now possible to connect directly via the Internet to the RDP environment behind an RD Gateway using Linux-based IGEL thin clients (x86). A key benefit is that a VPN tunnel is no longer necessary. And the new feature impresses when it comes to security, too. The connection itself runs via HTTPS, allowing administrators to monitor traffic via upstream firewalls and forward it to the relevant destination. For users, this means a secure and simple way of allowing staff based at outside sites, for example, to access elements of the virtual infrastructure at headquarters – whether they be terminal services, virtual desktops (VDI) or workstations. 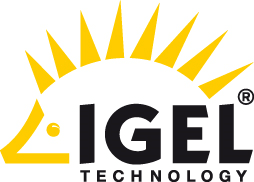 Thanks to the latest firmware update for IGEL Linux, users can now access their RDP environment via a Microsoft Remote Desktop Gateway when using Linux-based thin clients. This can be done easily and conveniently via the Internet, thus reducing administrative outlay while increasing security. The IGEL Linux version 5.04.100 is now available for download free of charge at www.myigel.biz.